a) The _____________ tab displays the text in a slide in Normal view . b) ____________ is a sequential display of slides in full screen mode. c) The _____________ box is located on the left of the Formula box. d) A _____________ of cells implies a group of cells forming a rectangular agea. e)_____________ view helps to see all the slides of a presentation in miniature form. f)An _____________ is a specific set of instruction used for carrying out a proudure. g) _____________ connects one part of the flow chart to another. i) The first webpage that opens when we open a website is called _____________ . j) The first webpage that opens when we open a website is called _____________ . b Mozilla Firefox is an Internet explorer. c) Facebook is a social networking site. d) The direction of a flow chart should be from right to left. e)Diamond symbols is used to indicate the decision making step. 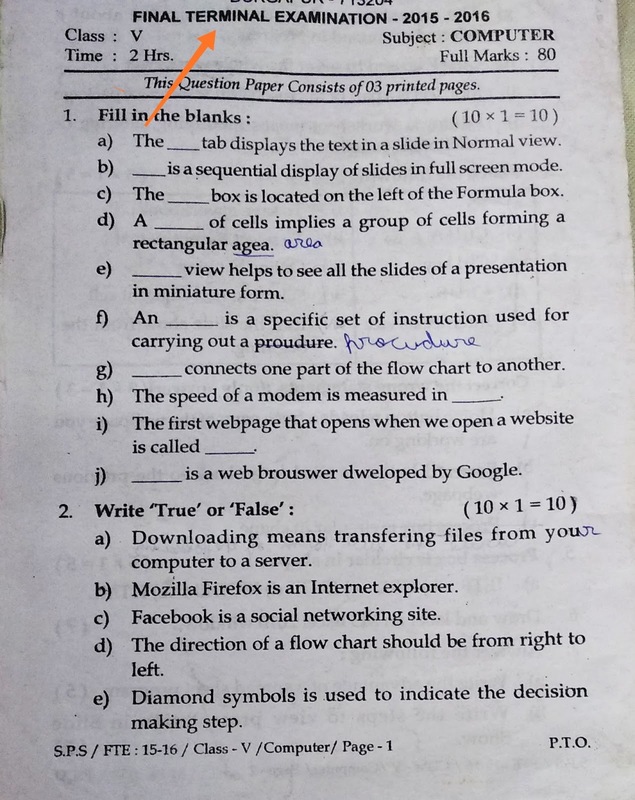 f)Once a worksheet is added to a workbook, it cannot be deleted. g) The statusbar displays the inaformation about a selected command in progress. 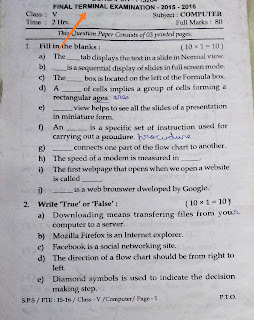 h)Ctrl+Pis used to select the whole worksheet. a) Home button reloads a fresh copy of the webpage you are working on. Forward button is used to go back to the previous webpage . f) Draw flow chart: ..........(3+3=6) i)i) To compare two numbers 15 and 30 and print the greater number. ii) to make a phone call.